An ambitious European research project funded through the European Union H2020 scheme and aimed at finding a new treatment for ALS (motor neurone disease, MND) is testing a molecule that occurs naturally in our bodies and helps to regulate our immune system. In May, MIROCALS -MODIFYING THE IMMUNE RESPONSE AND OUTCOMS IN ALS- was awarded €5.98 million by the European Commission Directorate-General for Research and Innovation, under the EU Horizon 2020 Scheme. Additional support for the Clinical Centres has been awarded by the French Health Ministry Programme de Recherche Clinique (PHRC) in France and is under consideration by the MND Association in the UK. Currently, a low dose of the molecule, interleukin-2 (IL-2), is being developed for the treatment of conditions affecting the immune system, including diabetes, arthritis, liver disease, and the complications of treating leukaemia and other cancers with stem cells. While IL-2 has been used for many years at high dose to treat cancer, it is much safer – but still effective – when used at low doses in these immune disorders, as it can damp down harmful immune responses.“Our main objective is to achieve a breakthrough in the treatment of MND by significantly slowing the progress of the disease through a low dose of IL-2,” says Dr Gilbert Bensimon, University Hospital, Nimes, France, who is Coordinator and project leader of MIROCALS.To date, only one drug – riluzole – has been shown to slow the advance of MND, but its impact on the quality of life of people with the illness is marginal. Many other drugs have been tested but have failed. Professor Nigel Leigh, co-lead and chief investigator for the clinical trial, of Brighton and Sussex Medical School, says: “We are delighted to be collaborating with world-leading research groups in biomarker development, immunology, genetics and gene expression on this project. This collaboration will allow us to research a number of factors that may affect MND. Taken together, these analyses should allow us to ‘individualise’ responses to treatment that may be revealed during the study.”The research is being undertaken by a partnership between leading medical researchers in France, UK, Italy, and Sweden, the Motor Neurone Disease Association of England Wales and Northern Ireland, and the pharmaceutical industry. study of complex genetic factors that may contribute to the response to treatment with riluzole and/or low dose IL-2. Project planning will start in September this year and researchers intend to recruit the first patients into the trial by September 2016. They aim to complete the study in 2019. In the meantime, the team is working on the essential groundwork for MIROCALS, including a small pilot study in France. Professor Leigh adds: “In addition to developing a new treatment for MND, MIROCALS aims to provide a new approach to clinical trials to break the impasse in developing new treatments for progressive disorders that include MND, dementia and Parkinson’s disease. 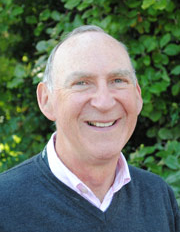 The MIROCALS Consortium is led by Dr Gilbert Bensimon (project coordinator) of The Centre Hospitalier Universitaire de Nîmes, France (trial sponsor) and Professor Nigel Leigh (Chief Investigator of the clinical trial) of Brighton and Sussex Medical School, Universities of Brighton and Sussex, Brighton, UK. The strong partnership brings together a France-based technology transfer company, Inserm-Transfert, for the management of the project, with an Irish-based Clinical Research Organisation, ICON plc, which has wide experience in international clinical trials. ICON plc will be responsible for monitoring of the trial to the high standards required by the regulatory agencies in Europe. The MND Association will have a vitally important role in communicating with people affected by MND/ALS, disseminating information about the trial, and advising on ethical aspects of the study. The scientific contributors include leading scientists and clinicians from six cutting-edge European laboratories. Dr Cecilia Garlanda, Dr Massimo Locati (Humanitas Clinical and Research Hospital, Italy) and Dr Timothy Tree (King’s College London, UK) will lead investigations into immunological aspects of the project, while work on brain biomarkers for monitoring disease progression will be headed by Professor Henrik Zetterberg (Goeteborgs Universitet, Sweden) and Dr Andrea Malaspina (Queen Mary University of London). The investigation of gene expression is coordinated by Professor Dame Pamela Shaw and Dr Janine Kirby (University Of Sheffield, UK) and gene sequencing studies by Professor Ammar Al-Chalabi (King’s College London, UK). Dr Safaa Saker (Généthon, Paris) will oversee the biobank for MIROCALS.